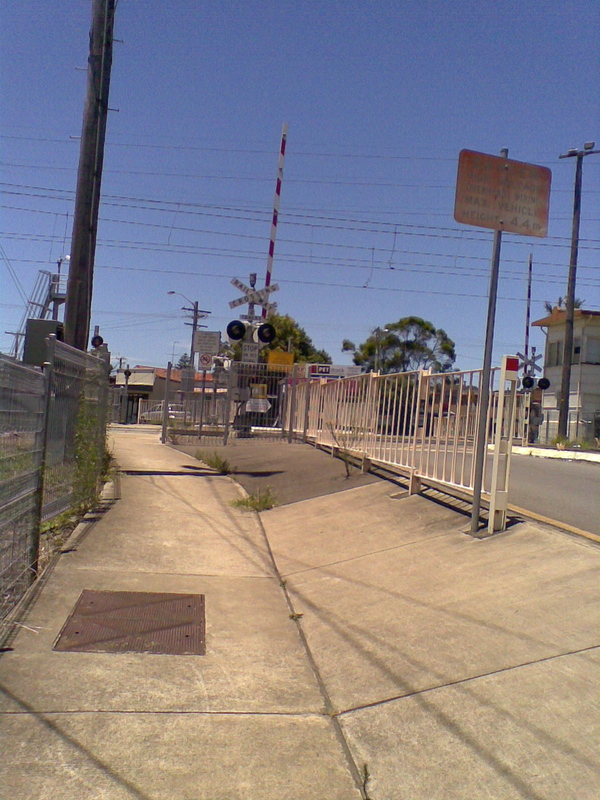 There is always a good chance when you are travelling through Adamstown and intend to cross the railway line on Glebe Road that you will be caught up at the gates. According to The Herald, the gates are currently closed for more than 6 hours a day. I was recently at these gates, waiting while a 90 carriage coal train went through, then the lights turned green … for about 20 seconds! This gave the cyclists plenty of time to get through, but only about 4 cars from either direction get through when the lights changed, causing the majority of car drivers to await a further change of lights. Two teenage boys on mountain bikes had decided to take the alternative method of crossing, which is to climb the stairs – about 50 of them – to cross the railway line, then they rode their fully suspended bikes down the stairs on the other side. I did not catch this on camera, unfortunately. But this incident confirmed that there is always a better alternative by bike! 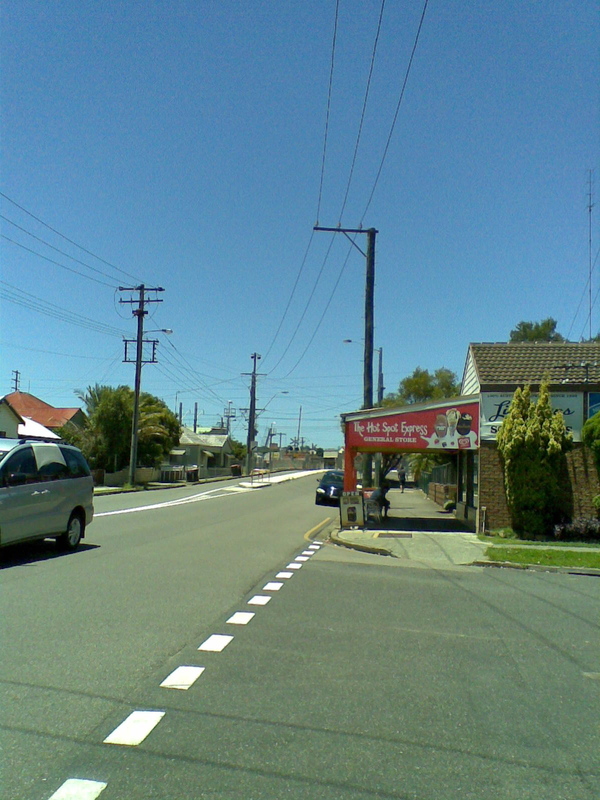 This entry was posted in Newcastle and tagged Adamstown, Bike tracks, infrastructure, newcastle. Bookmark the permalink. Yes, and at least crossing Glebe Road is easier when the cars are all stopped ! Excellent point! I had also forgotten to add that another alternative for bike riders is to ride back to Fernleigh and go from there, if it suits your destination. Bikes do not have to be held up here at all really.